This Westwood Spanish house at 2357 Veteran Ave, LA CA 90064 just hit the market 6 days ago with a listing price of $849,000. 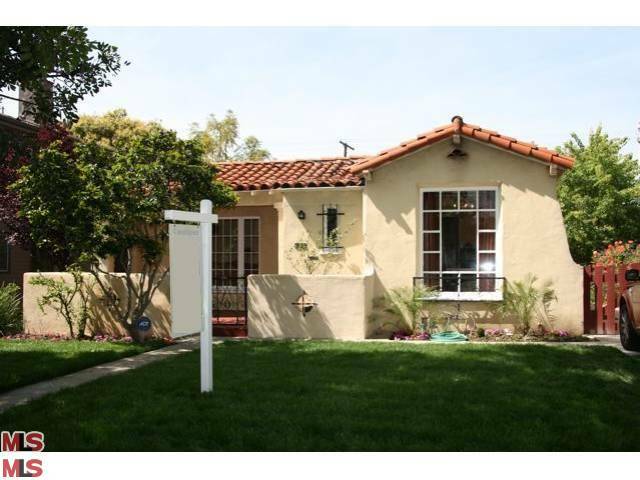 This is the least expensive house in Westwood, not on Overland. Veteran is also an artery street and is slightly busy, but not nearly as busy as Overland. Additionally, being on this busier street is why this house doesn't pull in over $1m in today's market. Inside the house is very well kept and is in move-in condition. Beautiful dark hardwood floors with bits of original Spanish charm are seen throughout this house. The kitchen has been completely updated with newer cabinetry, stainless steel counter-tops and high end stainless steel appliances. The master or main bathroom looks to be the original Spanish tile (green/black colors), however its in very good condition. According to the MLS, the home is a 3 bedroom / 1.75 bath, 1,698 sq ft of living space on a 6,750 sq ft lot.